We’re not sure what the antithesis of a freewheeling Caribbean beach experience would be, but a faux European castle has to come close. Yet, somehow, those two opposites successfully come together in the unlikely Blue Cave Castle Resort. The Blue Cave Castle is located above its namesake sea-level pirate caves near Jamaica’s hedonist-friendly Negril beach. 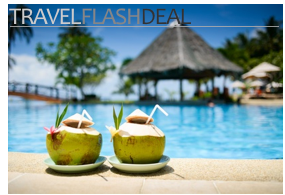 The resort was built in the 1970’s after the American proprietor’s trip to Europe inspired the design. At first look, the Blue Cave Castle seems . . . well . . . a little ridiculous. 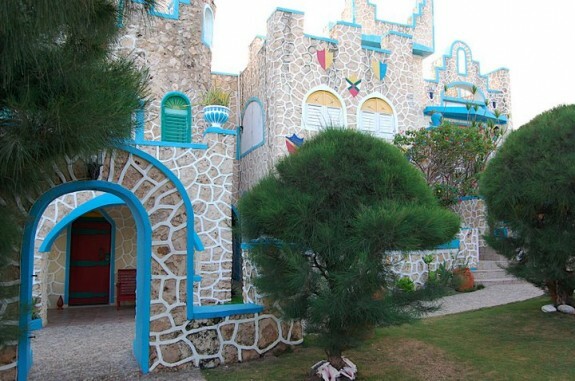 With its use of Smurf-blue trim and Caribbean-green shutters the building looks little like an authentic castle. And it appears completely out of place next to the palm trees and sparkling ocean. Spend a little time here, though, and you’ll see—this place is cool. 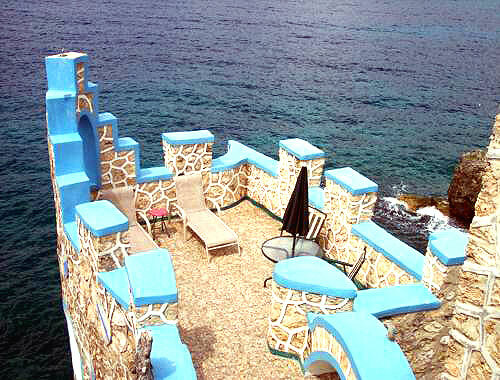 We stayed in Room #6, located within a castle turret that juts out into the ocean. 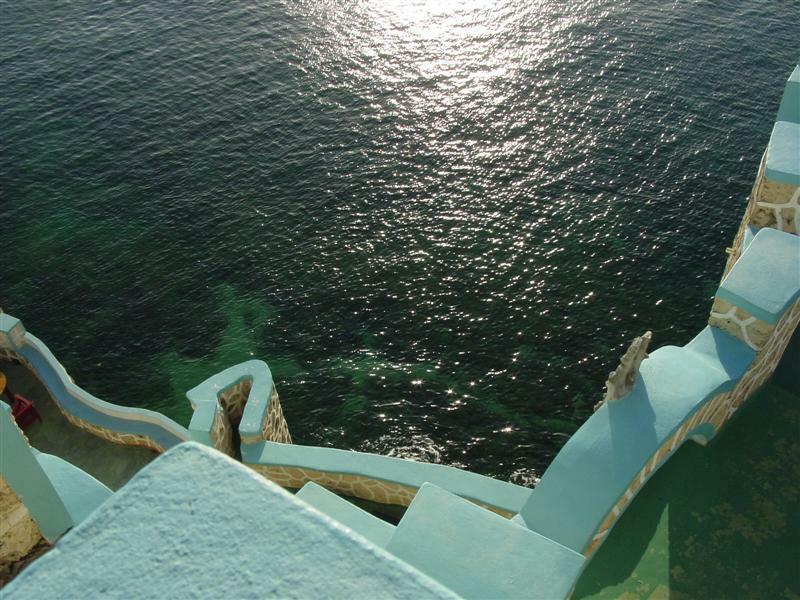 The room is surrounded 270 degrees by water, 23 meters (70 feet) above the Caribbean. 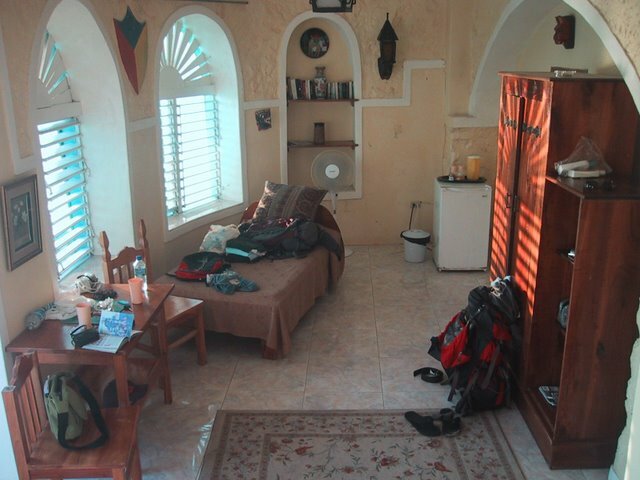 The ocean breeze and sound of the waves wafting into the room are wonderful. Room #5 is in the turret also, as is the glorious penthouse apartment that occupies its top three floors. 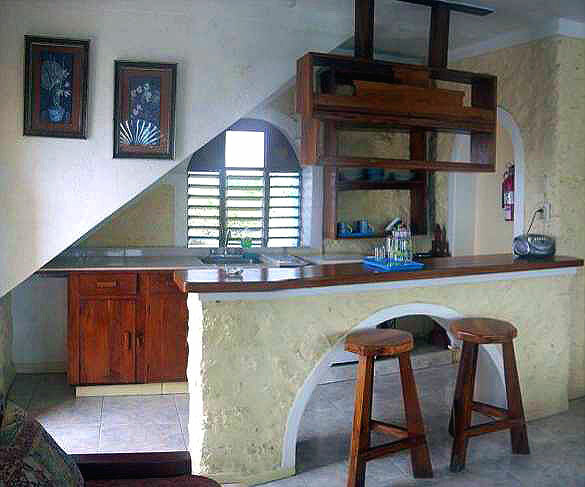 The Penthouse includes a full kitchen, dinning area and three (!) 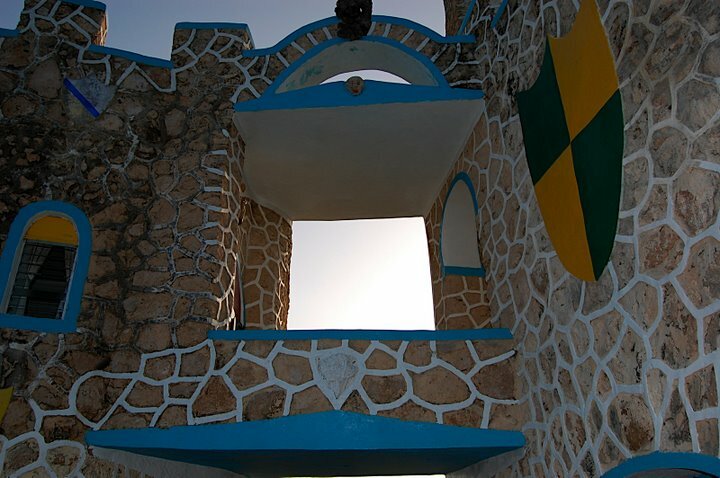 private balconies including the one that’s the highest point in all of Negril. 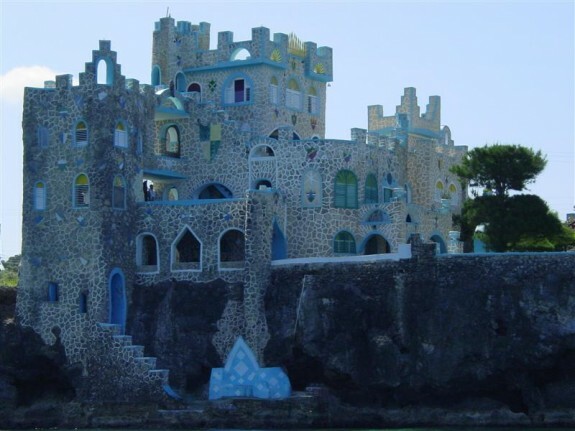 The Blue Cave Castle should not be confused with a four or five star resort. There’s little room service and no swimming pool. No man made pool anyway. 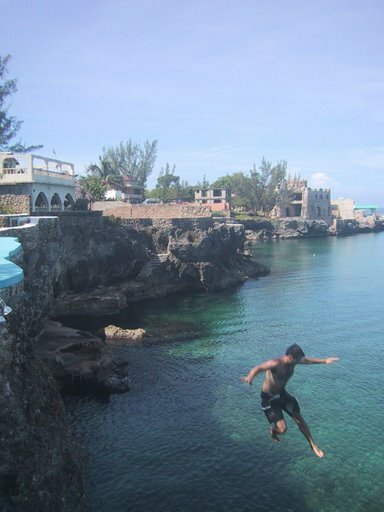 To go for a swim all you need do is jump off the cliff into the Caribbean. That or walk down to the caves and slide into the water from there. 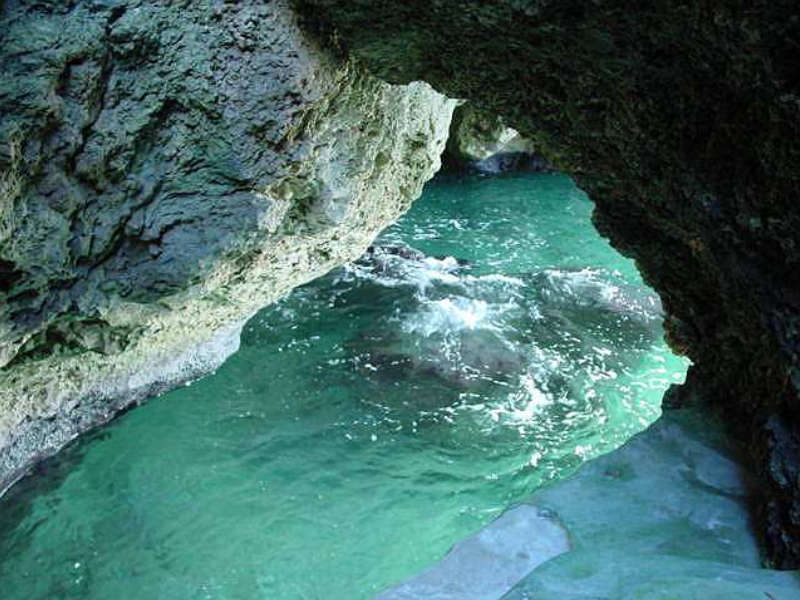 One of the caves even has a shower for rinsing off after your swim. 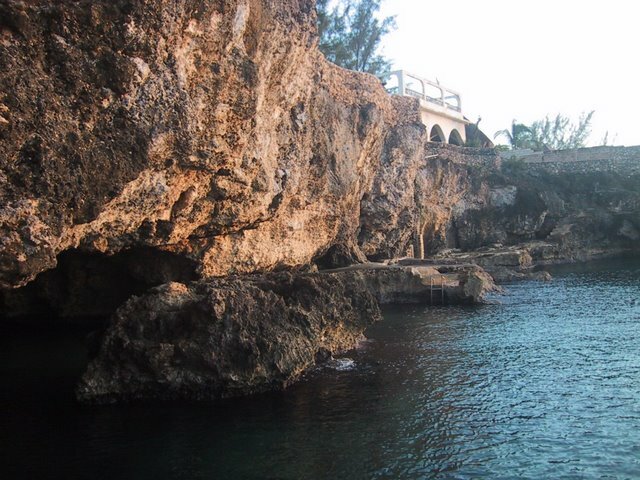 To get to the sandy Negril beach you can either swim around a cliff or walk down the hill—both take around five to eight minutes. 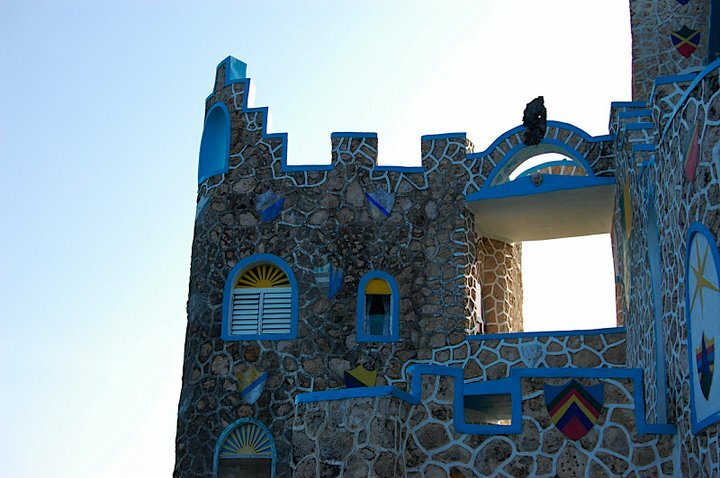 The best part of the Blue Cave Castle? The price. The turret rooms (#5 and #6) go for the bargain price of $45/$85 a night for low/high season; the penthouse apartment is only $100/$180! 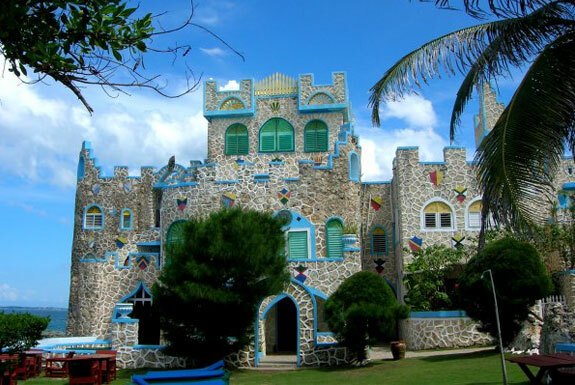 The Blue Cave Castle is easily the best value in the whole of Negril, and perhaps the whole of Jamaica. This post is part of the ’08/’09 Spot Cool Stuff Caribbean Week. Nice Castle. I want one of my own.